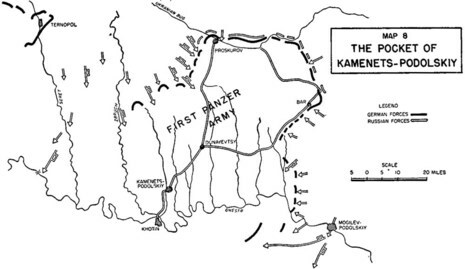 The Battle of the Kamenets-Podolsky Pocket, also known as Hube's Pocket, was a Wehrmacht attempt on the Eastern Front of World War II to evade encirclement by the Red Army. 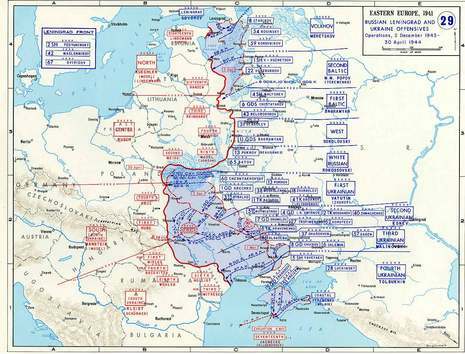 During the Proskurov-Chernovtsy Offensive Operation (4 March 1944 - 17 April 1944) and the Uman-Botosani Offensive Operation (5 March 1944 - 17 April 1944) the 1st and 2nd Ukrainian Fronts encircled Generaloberst Hans-Valentin Hube's 1st Panzer Army north of the Dniestr river. 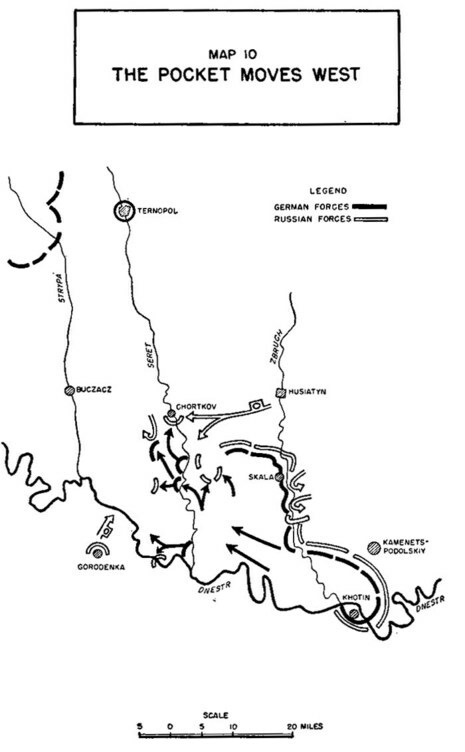 The Panzer Army's personnel was largely able to escape the encirclement in April. As the Soviets neared Hungary, Hitler decided to occupy the country amid concerns that Hungarian leader Admiral Miklós Horthy would make a separate peace. 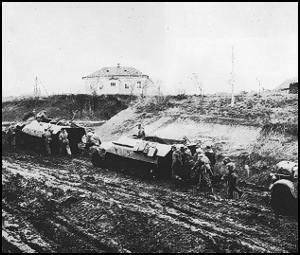 German troops crossed the border on March 20, 1944. 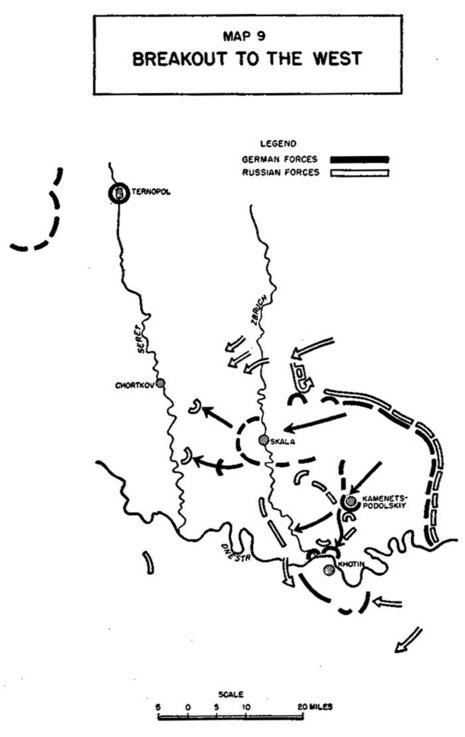 In April, the Soviets attacked into Romania to gain a foothold for a summer offensive in that area.